The Toyota Proace has won the Best Medium Van* award in the Fleet World Honours, held at the RAC Club in London. 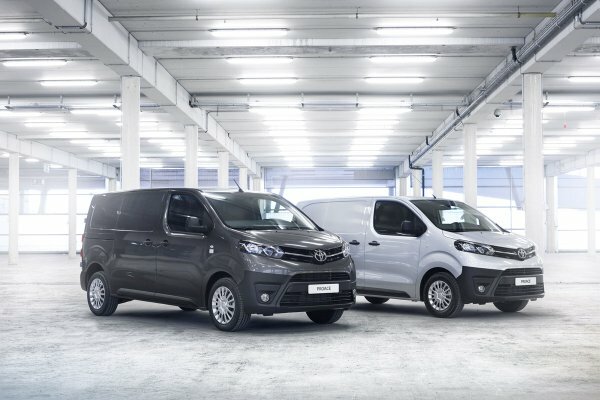 The award judges remarked on how Proace represents a “great step forward” from its predecessor in the medium van sector. “(This is) not simply a like-for-like replacement, as the addition of a third compact model broadens the line-up, opening new opportunities and providing customers with increased choice to suit specific operating requirements,” they said. They also drew attention to the high equipment specifications, including an industry-first head-up display and hands-free side door opening, and Proace’s strong load volume and payload capacities, while providing “a comfortable, car-like driving environment in a van with perfect dimensions for urban use”. Introduced in 2016, the Proace range embraces three wheelbases, payloads up to 1.4 tonnes and commercial load volumes up to 6.6m3. Within the line-up, the Proace Compact adds a new dimension to the choice available, its clever packaging providing medium van load capacity within a compact van footprint. The availability of a Smart Cargo system adds valuable extra load space, by means of a bulkhead opening and lifting front passenger seat base. As well as a standard panel van, Proace is also available in a nine-seat Combi version. * Proace’s award was shared with parallel models produced through the co-operation programme between Toyota and the PSA Group.